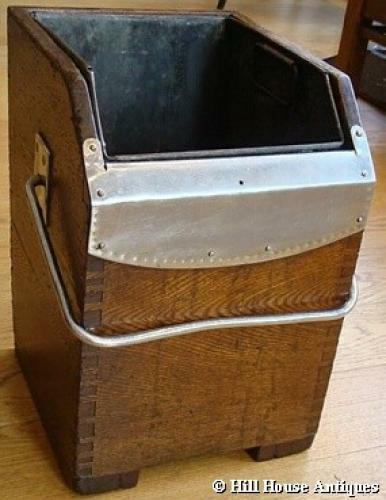 A rare oak and steel Cotswold School log or coal box, with its original metal inner liner, by Gordon Russell of Broadway (labelled) c1920s. Superb typical Gordon Russell dovetailing detail to sides. Would work beautifully as a planter as well! Approx 15" high, 11" widest, 13" deepest.